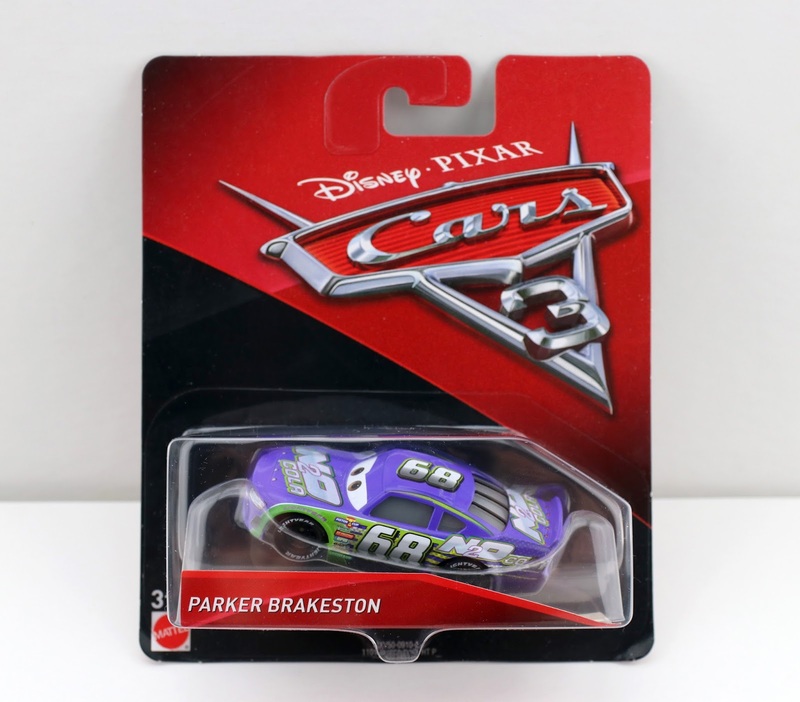 Tonight I'll be just quickly documenting another Cars 3 Piston Cup racer 1:55 scale diecast from Mattel...this time around it's Parker Brakeston (also known by his sponsor N2O Cola, No. 68)! He was released last May in case B, the second wave of Cars 3 singles. So yah, this one has been around since almost the beginning of the product launch and is still hanging around on pegs to this day. This is another one of those kind of generic background racers with a frustratingly short amount of screen time (you can really only spot him zooming past the camera as a blur; he's somewhere in the opening sequence of Piston Cup races). 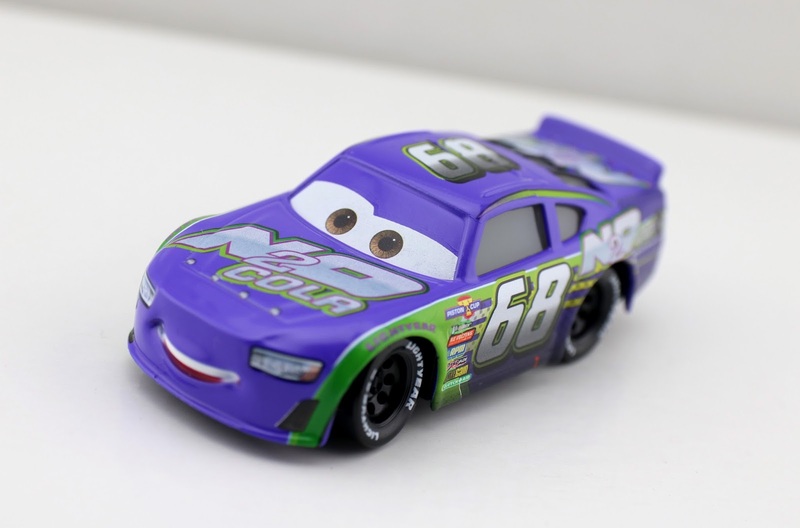 This character supersedes Manny Flywheel (from the original Cars) as the racer for the N2O Cola team—only to be replaced by the next-gen racer H.J. Hollis later on in Cars 3. Take a closer look of Parker out of the package below! You might still be able to find this racer in your area at your local Target, Walmart of Toys R Us. He's not too hard to find, even at this point. If it's just easier for you to snag him online though, here's the direct Amazon think for you.